Jamestown is a beautiful town with a lot to explore. If you’ve just moved here or are on vacation, check out this guide on things to do and places to visit in Jamestown, California. California is a lot more than the Hollywood sign and the Golden Gate Bridge. This great state is the site of abundant history, including the famous California Gold Rush of 1849. Jamestown, California is a hidden gem outside of Yosemite in Northern California. Whether you are a history buff, on your way to one of the region’s national parks, or you’re just looking for something off the beaten path, Jamestown is a great place to explore, learn, and even have an adventure. 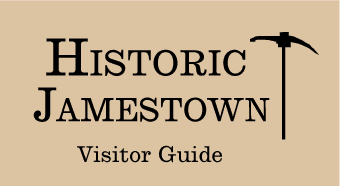 Here are ten things to do if you visit Jamestown, California. The California Gold Rush is considered one of the most significant historical events in 19th century America. It fueled a massive expansion to the west by a diverse population, and it fired up the country’s economy. It also created a timeless myth of searching for riches in the land of opportunity. 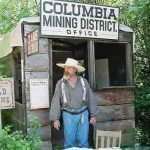 You can replicate the authentic gold rush experience with one of several experienced guides in the Jamestown area. 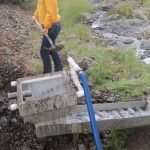 They will take you out to the famous Woods Creek where you will dig, sluice and pan. Many visitors come away with real gold flakes, plus a real appreciation for the efforts our forefathers made to try to better their lives in the wild west. Northen California is famous around the world for its grapes, and visitors travel from all over the world to taste the state’s beautiful red and white wines. You can avoid the crowds in Sonoma by trying Jamestown’s own Gianelli Vineyard and Winery. Inspired by the agricultural methods used in Tuscany, these taste of these wines will transport you to Italy without having to ever leave sunny California. Ironstones Vineyards is another local winery, which also offers summer concerts at its onsite amphitheatre. Relaxing under the stars listening to tunes with a glass of Chablis in your hand is a great thing to do when you’re visiting Jamestown, California. Moaning Caverns are a natural wonder. These caves hold great geologic and anthropological interest: they were found to contain human remains from over 12,000 years ago! The caves were named by Native Americans after the mournful sound the wind makes whistling through the caves. You can opt for a walking tour, ziplining, and spelunking, or the Adventure Tour, which takes you through caverns named things like The Birth Canal. If you are in the area visiting Yosemite, you obviously have a love of the great outdoors. Jamestown is an excellent area to pursue all sorts of outdoor adventures, including white water rafting! Several companies offer river rafting trips in the area on the Merced, Kings, and Tuolumne rivers. Rafting is an exhilarating experience for the whole family, and it is one you surely will not want to miss. In addition to adventure, Jamestown offers many cultural diversions like live music and theatre. Sierra Repertory Theater presents nine main-stage shows per year at the East Sonora Theatre and the Historic Fallon House Theatre in Columbia State Historic Park. 45,000 patrons each year come from all over the region to see musicals, comedies and other fare presented by professional actors in a beautiful setting. Step back to the turn of the last century with a visit to Railtown 1897 State Historic Park. A real working railroad since the 1890’s, this park is now run by the California State Railroad Museum. You can ride vintage steam trains and see a working roundhouse. Many movies have been filmed here because it captures the spirit of the wild west so perfectly. Another one of the pleasures of the region is the abundance of fishing spots available. If you are staying near Jamestown, throw a line out at Twaine Harte Lake and catch some rainbow trout. Many groups and families exploring the Jamestown area decide to hire a guide to try fly fishing. If you are lucky, you can enjoy the spoils of your efforts cooked over an open fire under the stars. Jamestown, California is home to the Chicken Ranch Casino, where you can choose from 349 games to play and maybe hit the jackpot. You can also meet some of the local characters playing a round or two of Bingo. This Casino is old fashioned, meaning it still allows smoking inside- so be forewarned in case that might bother you. If not, inhale the atmosphere and pull the lever: it might be your lucky day! Columbia State Park is a historic town outside of Jamestown that has been preserved to show how life really was during the times of the historic Gold Rush. The docents dress up in old-fashioned garb and you can try some old-fashioned grub as well like sarsaparilla. The interactive exhibits allow you to see a real-life stagecoach drive through town. You can also watch a blacksmith forge his wares on an anvil. School groups are welcome. You can even bring your dog! Lake Tulloch sits at 504 feet in elevation and covers over 1200 acres. It is a major source of both water and hydroelectricity for the region. It is also a spectacular place to camp, swim, and boat. Enjoyed by families and partiers alike, staying at a campground is sure to be a rollicking good time. You can rent water skis, jet skis, and pontoon boats to get on the water and keep the good times going. If you are looking for a fun time with children, Jamestown, California, gives you history, nature, and adventure. Whether you enjoy sports, culture, history, or the unexpected, Jamestown has it all. 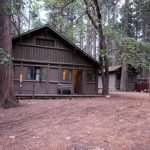 For more information on staying and playing in Jamestown, California, check out our website. 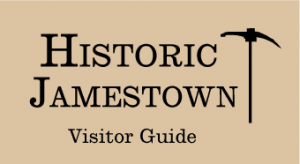 What are your top Things to Do in Jamestown California?